The call. THE call. The CALL. I liked your manuscript! Tell me more! An hour later, my head was spinning. Is this for real? Couldn’t be… my cautious nature waited for the other shoe to drop… and waited… and I reviewed the draft contract… and waited to hear that shoe go ‘thump’ and then… hard copy of the contract made out to me, notarized and in my hot little hands! Without fear and further ado, I’d like to announce my signing with Cliffhanger Press, for my debut novel manuscript Houses of the Broken. Buckle up for a new adventure! I still can’t believe it’s happening… But please, keep your shoes to yourself…. Finally some solid links for the upcoming events! I’ve been busy making connections, and Fall 2013 is starting to get booked. September 14, 2013 from 1pm – 3pm I will be having a book signing at the Erie Book Store. The event listing can be found on Facebook. October 18 – 20, 2013 at the Warner Theater in Erie, PA I also having a booth at the Eerie Horror Film Fest. Come keep this ghoul company during 3 days and 3 nights of reckless horror abandon. In addition to books, there will be some teasers for my upcoming works and the opportunity to see some of the work of Shane Montross, first hand! 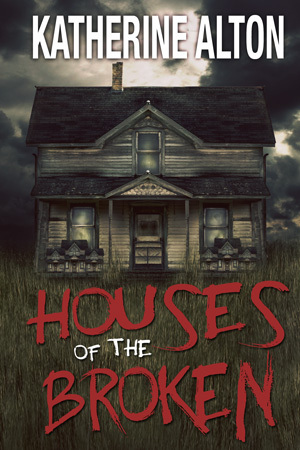 Now available in print, and soon in Kindle format, Houses of the Broken.